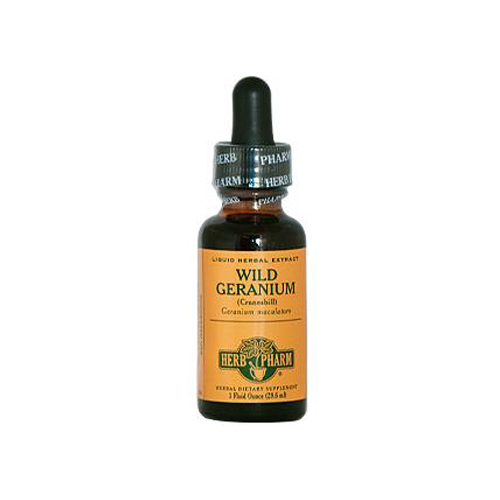 We prepare our Wild Geranium extract from the rhizome of Geranium maculatum plants which are Custom Wildcrafted in their wild native habitat. To assure optimal extraction of Wild Geranium's bioactive compounds, the rhizomes are hand-harvested in late autumn or early spring, are carefully shade-dried, and are then thoroughly extracted. Our Wild Geranium is not fumigated or irradiated. Ingredients: Certified organic grain alcohol, distilled water, vegetable glycerine and wild geranium extractives.